The Indian glorious tourist attraction spots are always attractive. People from different nations are reaching to several parts of India to make their holidays special. One finest destination in Uttarakhand is Naukuchia Tal which is world-known place for amazing lake known as Bhimtal. 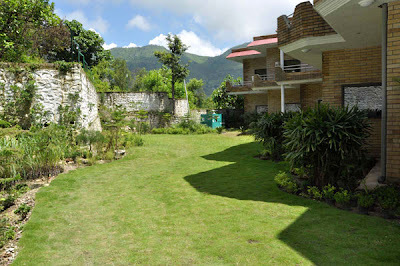 However, the countless natural beauty spots make this place more demanding than other hill stations of India. Naukuchia Tal is basically a place of lake covered with hills from nine corners. This attractive hill station is smaller comparing to big locations but tourist will get the huge mental peace at Naukuchia Tal. There are some places look normal because of not having lots of tourist spots, but these small locations are full of natural beauty which gives the mental peace. Experts say special items come in small packages. After watching the images of Naukuchia visitors can understand the value of place, though the name is not much popular but still many tourist are reaching the location at various occasions. The lake of Naukuchia is 175 feet deep. The surrounded trees and shrubs give amazing feeling to the visitors. 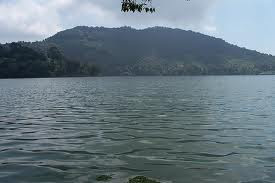 Naukuchia comes under the Nainital region and its lake is deepest among all Uttarakhand lakes. Underground permanent spring of the lake is another special thing to watch. Distance between Bhimtal and Naukuchia Tal is only 4 km which means travelers can enjoy the Bhimtal and many other tourist destinations of Uttarakhand. Distance of Nainital from Naukuchia is 26 km which is again allow tourist to attain some more amazing nature made destinations of India. People reaching to Naukuchia Tal from Delhi have to travel 320 kms distance. This small hill station is having mythological values for local people. People believe that the lake is created by the Lord Brahmaji as the small shrine of Lord Brahma exists near the lake. Temple is nearest to KMVN guesthouse which is designed amazingly. "Doing Parikarma of lake will fulfill all wishes of the person" the local people say. The Lake Resort: this resort is available for the visitors having special rooms with several facilities. View of hill from lake resort is diverse experience. Oak and pine trees surrounding the resort make the place first choice for accommodation. 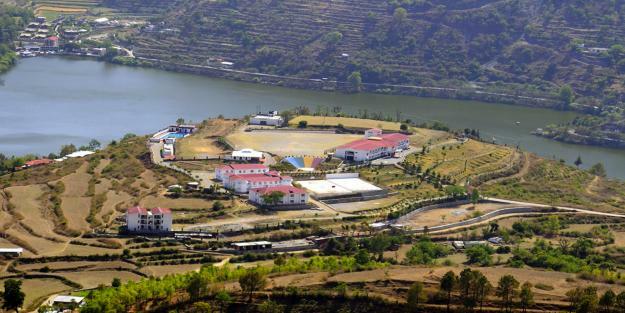 Lake resort is also the biggest resort in Kumaon Himalayas. Almost every room is having glass to view the hills of Himalayas. The world Naukuchia Tal means lake covered by nine corners. The design of this nature made lake is different comparing to other lakes of Uttarakhand. Reaching Naukuchia Tal allow tourist to visit other holiday locations as well. Kumaon and Nainital are two best examples for visitors at reasonable distance of Naukuchia. Visiting the spot in spring or summer is best time because of greenery spread everywhere. The town becomes really beautiful in spring. Kumaon is the place housing royal tigers in the forest so travelers can enjoy the dense forest of Uttarakhand at Kumaon. 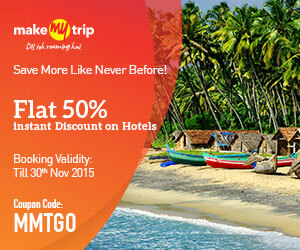 Talking about world-known place close to Naukuchia Tal lake Bhimtal comes first. It is the city exists with limited area with a good height of 400 meters from the sea level. Tourist can enjoy the parasailing in Naukuchia Tal and some other nearby locations. Adventure and nature lovers must attain to Naukuchia Tal. The hills of Uttarakhand are connected to several cities of India, though some places are under reach through roads only. Distance of Naukuchia Tal from Delhi is 317 kms, Kolkata is 1437 kms, Bangalore is 2213 kms, Nainital is 41 kms, and Shimla is 545 kms. By Train: Closest railway station is Kathgodam located at only distance of 35 kms. From station tourist can hire the pre-paid taxi to reach Naukuchia Tal. Frequent trains from Delhi to Kathgodam are available which is best way to reach Naukuchia spot. By Air: Delhi is the only big international airport located at 320 kms from the destination. Uttarakhand is close to Delhi; hence tourist can get the flight to Delhi from almost every part of the world. By Road: because of hill area, traveling through road for Naukuchia Tal is very exciting as the journey covers the hills and ground levels at different locations. The roads are managed but due to hill station local administration is not able to maintain them regularly.